The forum is your place to meet with other tankers and discuss the game. The forum is all about the community - you can join a clan, enter contests or simply participate in avid debates about the best turrets, hulls and paints in the game. 2.1 What is the reason for having 3 different groups? 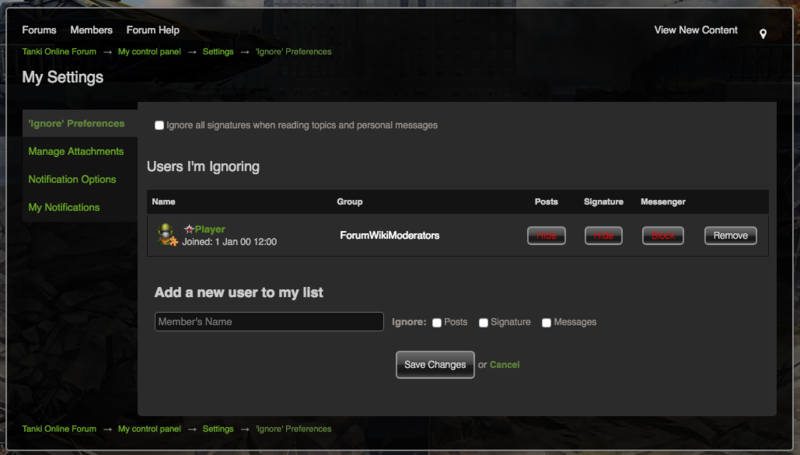 To log in to the Forum, use the same username and password as you use in the game "Tanki Online". In the right top corner of the image is the user Management and the search box. If you click on "Log in", you have to enter the requested information and also type in the security code. 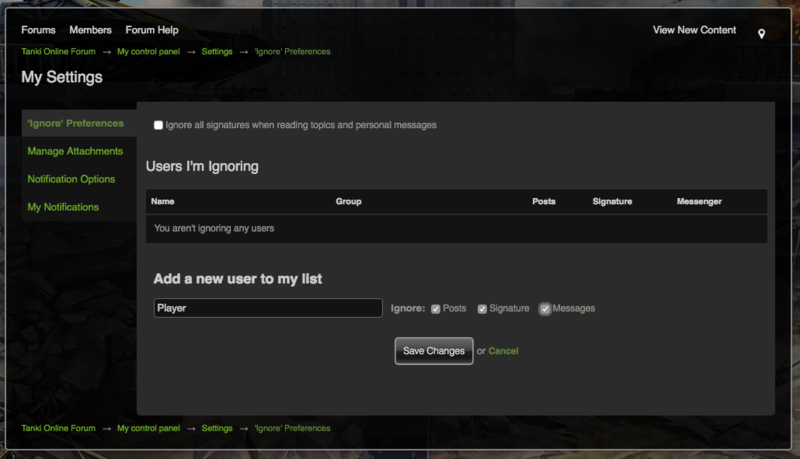 If you are logged in, you can find in the user management your personal messages and also your notifications. Users of the forum are divided into 3 groups, depending on their rank. This allows players of a higher rank to have more permissions on the forum. The main reason for this is to help guide new players into the forum, as well as decrease the amount of flooding, phishing and other violations which may occur by players who create alternate accounts solely for this purpose. Beginner ( Gefreiter to Staff Sergeant) - Can leave comments in the "News and Announcements" and "Beginners Zone" sections, and can create topics in the "Game Violation Reports" section. General ( Master Sergeant to Sergeant-Major) - Can now leave comments in all sections of the forum. Advanced ( Warrant Officer 1 to Legend) - Can now create topics and leave comments in all sections of the forum. Beginners are not able to give likes to post and topics. General users can give 10 likes per day. Advanced users can give 50 likes per day. Advanced users are able to hide their posts and topics. What is the reason for having 3 different groups? This allows players of a higher rank to have more permissions on the forum. The main reason for this is to help guide new players into the forum, as well as decrease the amount of flooding, phishing and other violations which may occur by players who create alternate accounts solely for this purpose. PM is the common abbreviation for "Private Messaging." The PM forum service is the project's only official means of communication for players outside of the chat lobbies of the game itself. It can only be utilized by forum members and can be used even if a player is banned from making public forum posts, or sending chat messages in the game. There are two types of private messaging: Individual-individual communications and private group chats. 1. Click on the envelope at the top of the page and then "Compose New". 2. 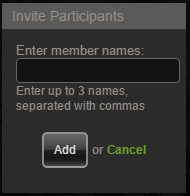 Enter the name of your chosen recipient(s) (you can send a message to up to four players), and the subject of the message. 3. Enter the message you wish to send to the recipients. "Send Message" sends the message, "Preview Message" shows you what your PM would look like when sent and "Save (Send later)" allows you to save the message so you can finish writing it later on. 4. If you already sent your PM but forgot to add other recipients or you are viewing a received PM and you want to add other users to it, simply click on Add and enter the name of the recipient(s). 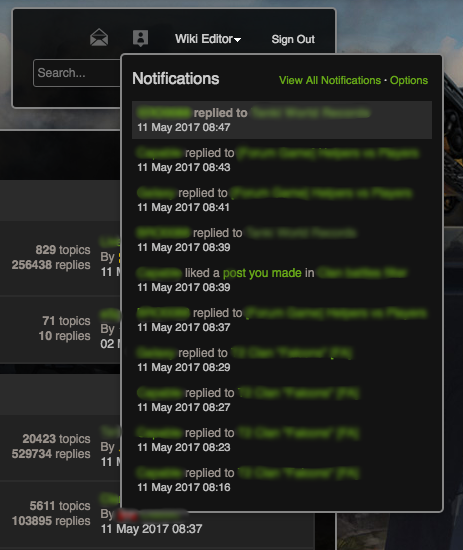 Unread notifications appear highlighted, whilst read ones don’t. To follow a Topic, click on your desired topic and click the “Follow this Topic” button, then choose your notification preferences and you will receive notification alerts when a new post appears in your chosen Topic. You can also click on the icon beside the “Follow this Topic/Forum” button to see some of the players who are also currently following that Forum/Topic. Each function modifies the appearance of the text; Bold, Italics, Underline, Strikethrough. Subscript and Superscript work differently, though. Subscript can be used to position characters below text and Superscript can position characters above text. For example: Subscript(text here), Superscript(text here). Hyperlinks are fantastic little tools! They can make words or pictures redirect you to an external page when clicked without the need to copy and paste long links. To hyperlink a word, simply highlight the word, click the first button and paste the link. To remove a hyperlink, click on the second button and it will remove the hyperlink for you. Inserting pictures is easy. Click on the “Picture” button and paste the link, then the Forum will automatically generate your image for you. Keep in mind that certain image extensions are not compatible with the Forum and only links with an image extension at the end of them work. If you are struggling to take a screenshot, refer here. If you are struggling to upload a screenshot, refer here. Indenting paragraphs is a useful function used to move text towards different parts of a post. Paragraph alignment helps to neaten up paragraphs by aligning text in different styles. BBCode is a mode which transfers all written text into code. This is not suggested as it is much more difficult to use. This is usually only useful when attempting to copy large amounts of texts and pasting it to an external source. The second button removes formatted text. If the text is (for example) centred, it will remove that format and revert the text to its standard form. The last button is for Special BBCode. 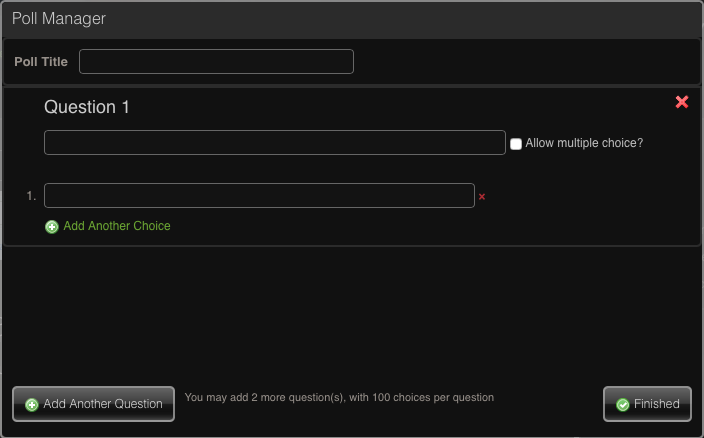 It will open a dropdown menu and you have the choice of selecting from a variety of different types of BBCode. Plain and generic text is suitable for ordinary posts but for special posts, we often wish to make our posts seem more glamorous! To do this, we can adjust the font, make our words larger or smaller, change the colour and insert emoticons. If uploading pictures to a hosting site is not your cup of tea, simply upload images already saved on your computer. To do this, click the “My Media” button and select your desired image. Note: This option is no longer available. The Find and Replace tool is extremely useful but unfortunately underused. It can be used to “find” a specific word or phrase and then “replace” it with another word or phrase in your post. Simply click on the binoculars button, enter the word you want to replace then enter the word you want to replace it with. The undo and redo buttons aren’t overly useful and rather self-explanatory. A better alternative would be using CTRL+Z / CTRL+Y or ⌘+Z / ⌘+Y. These tools are easily replaced by using CTRL+C / CTRL+V or ⌘+C / ⌘+V but can still be used to paste a document from Microsoft Word. The last button is the “Options” button which allows you to paste as plain text by default or clearing your saved content. This button can be ignored as it serves no major purpose. Before creating a topic, make sure that your Forum Group permits you to do so in the specific section. When you have an idea for a topic, you must first find the most appropriate section for it. 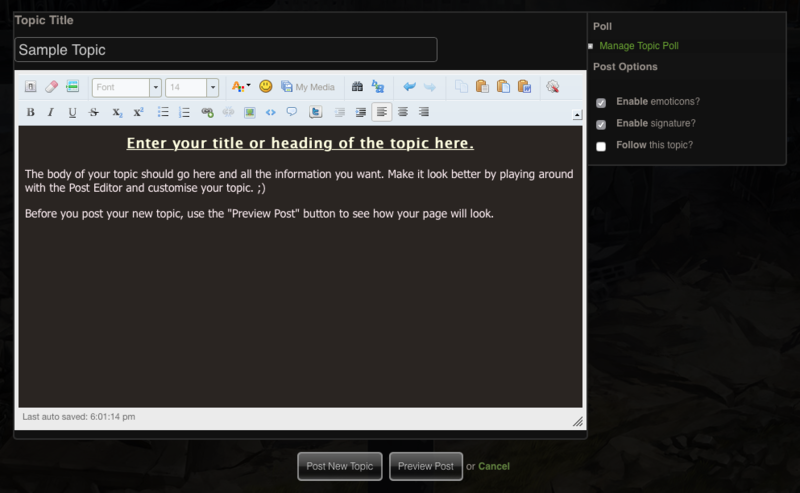 Then, click on the button saying “Start New Topic” and begin by first giving your new topic a title. Of course, it will have more realistic numbers! We often find ourselves posting before completely checking our facts or accidentally double posting or realising how unnecessary our post was. The simple fix is to either hide or edit the post. To hide the post, just click the “Hide” button and enter a reason (if you wish) for hiding the post. Normal players will be unable to see your post however Forum Moderators will still be able to. To edit a post, click the “Edit” button and make the changes that you wish. If you’d like to see what your post will look like before you actually post it, you can click on “More Reply Options” and then “Preview Post.” The preview is handy if you’re trying some new coding or checking what your post will look like before everyone can see it. You can then choose to enter a message as to why you’re reporting this member and a Forum Moderator will try to resolve the issue as promptly as possible. Then tick the options that you wish to be hidden. You should eventually end up with something looking similar to the above picture. This page was last modified on 27 January 2019, at 20:10. This page has been accessed 55,077 times.